Case Zero takes place two years after Dead Rising and three years before its sequel. Gamers play as Chuck Greene, the sequel’s protagonist, as he explores the small town of Still Creek, an environment completely different than the Las Vegas-like setting of Dead Rising 2. Greene, an ex-motocross rider, must traverse Still Creek in search of parts for his broken motorbike so that he may escape the town with his daughter. The arcade title doesn’t feature the co-op feature of Dead Rising 2, and its estimated to take an average of twelve hours to complete. 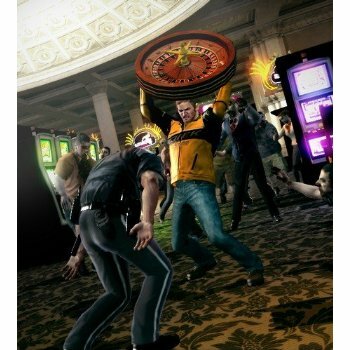 But players can gather experience points from the game that will transfer over in a game save file to Dead Rising 2. Case Zero’s release is a unprecedented marketing move, having an episodic add-on to a game coming out before the game itself. A release date and price for Case Zero has not been announced, but expect it to hit at least a couple weeks before Dead Rising 2 does on August 31st, and hopefully not cost more than $20. You can now pre-order Dead Rising 2 for PlayStation 3 or Xbox 360.